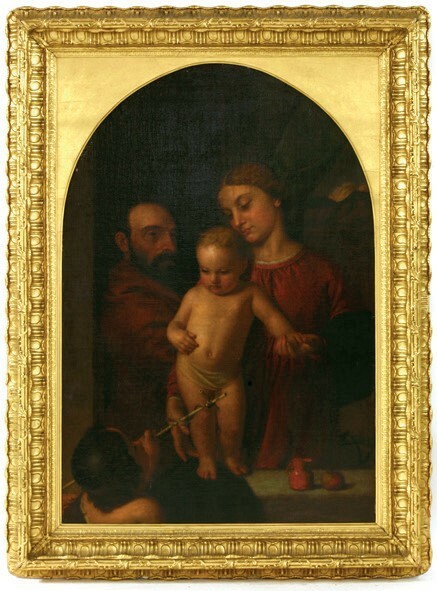 Probably commissioned for a presbytery, this painting above, of the holy family with John the Baptist, was executed in 1864 by the Victorian artist Ford Madox Brown (1821-93). The signed 4ft 3in x 2ft 10in (1.3m x 87cm) oil on canvas will be offered for sale at Sworders in Stansted Mountfitchet on December 5. The painting formed part of a collection of European art owned by American businessman Henry Audesse, which was sold by Massachusetts auction house John McInnis in 2016. The multi-million-dollar sale was offered on the premises of Audesse’s 30-room Georgian-style mansion at Wenham on Boston’s north shore in Massachusetts. Estimate £8000-12,000. A private collection of French Empire and Louis XV giltwood furniture has been consigned to Mitchells’ three-day Antiques & Fine Art Sale on November 28-30 in Cockermouth, Cumbria. The group forms part of the principal contents of Rocklands, a large lakeside residence in the nearby Windermere area and the second home of an ‘important UK family’. The contents include furniture originating from the Tuileries Palace made by the 19th century Parisian cabinet maker Pierre Benoit Marcion (1769-1840), who supplied furniture to Napoleon. Pictured above is a suite of Empire giltwood seat furniture by Marcion, comprising a pair of fauteuils and four side chairs dated to c.1810. The group was sold by furniture dealer Mallett in May 2000 for the discounted price of £74,765. It will be offered in Cumbria with an estimate of £15,000-25,000. Giovanni Domenico Tiepolo (1727-1804) was the eldest surviving son of the great Italian Rococo painter Giovanni Battista Tiepolo, and became his father’s chief assistant at the age of 13. 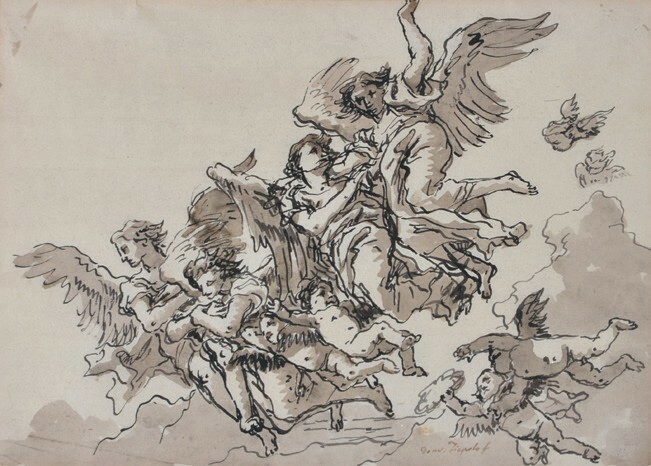 A signed 7¼ x 10½in (19 x 27cm) pen ink and wash titled Angels and Putti with a Victor’s Crown has been consigned to Dreweatts’ 245-lot picture sale on December 5 in Donnington Priory, Newbury. It has passed by descent from John Cotterell, a Herefordshire landowner who died earlier this year, and is estimated at £10,000-15,000.